Parents and children have shared the excitement and fun of learning at Kompany Kids since we opened our doors in 1991. Kompany Kids Child Development Centers serve children from 6 weeks to Pre-K.
Each of our Child Development Centers is licensed by the state where it operates. Each adheres to the highest standards of safety, security, cleanliness, teaching and loving care. At the same time, each of our Centers is a local, neighborhood place where parents know our teachers and staff – and each other. Ours is a service built on trust and we do everything possible to deserve that trust. Creativity and the freedom to explore, experiment, and problem solve foster and enhance cognitive development. Children learn best when they are viewed as individuals and treated with respect, acceptance and caring. 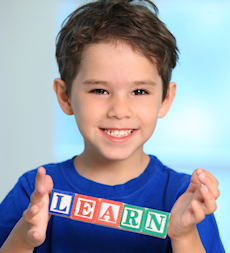 Learning is enhanced when children are actively involved and are encouraged to make decisions. Play is the predominant mode of learning in early childhood. Self-confidence directly relates to the ability to learn. A mistake is one of the essential catalysts to learning.